Michael Aspel hosts an edition from Burton upon Trent, where interesting finds include an ivory elephant and a Victorian suit of armour. Browse content similar to Burton upon Trent. Check below for episodes and series from the same categories and more! In certain circles, alcohol has long been regarded as the Devil's brew. in the town of Burton-upon-Trent 1,000 years ago. One in eight pints of beer supped in the UK is brewed in Burton. Millions of barrels a year pour out from this town, which is home to the biggest brewery in Europe. People live in the shadows of the fermentation and malting towers. which made it perfect for brewing pale ale. but only from the second, less potent brewing. Thus was born the phrase "small beer". and to the Bass family, who first came here in 1777.
building many of the churches and buildings, including the town hall. Step inside this dignified edifice and you're in for a big surprise. and now a star attraction at Burton-upon-Trent. You name the tune. Roll Out The Barrel? Certainly. Throughout the 19th and 20th centuries, Burton never stopped expanding. This model shows how it looked in 1921, when 32 breweries produced three million barrels a year. which roll out five million barrels, and that's no small beer. We're on the bank of the River Trent. The folk of the Meadowside Leisure Centre are our hosts. And we welcome a new expert to the porcelain table, Fergus Gambon. A beautifully-carved hibiscus and a terrific rose. These abundant flowers - all on an elephant! -Where does your elephant live? -It lives in the lounge. -On a very nice carved table. And I can look at it all day long, and night as well, if I want to! -How did he get to you? -My father. My father was a big antique collector. As long as I can remember, it's been in the family. -Of course, he's an African elephant. -but you know the country of origin, presumably? He was actually made in Japan. -Oh, I didn't know that! probably tortoiseshell or horn of some sort. -I like this beautiful fringe. -It's almost blowing in the wind. It isn't solid ivory. The elephant is made on a wood-block core. which would then be put onto the wood core. -He's got lovely, smiling eyes, hasn't he? One thing I've got to ask you - is he insured? you are likely to get somewhere between £7,000 and £10,000. -I thought it was enamel. -But that's all I know. At the time, South Staffordshire was the great centre for the production of enamel boxes of this sort. And can you guess from the way it's decorated, when it was made? with a figure and she's weeping over what looks like a tomb. "he is no more", and there is a tiny N - N for Nelson. As we all know, Lord Nelson died in 1805, at the Battle of Trafalgar. -Do you know what the box is for? -I know it's not a pill box. I have read somewhere, but I've forgotten. -And patches were little things that people stuck on their faces as a point of vanity, really. When you open it, you find a rather unfinished-looking area in the top. so that you would put on your patch and look in the mirror to see how it looked. -£300 or £400 at auction. and I think a reasonable auction estimate would be perhaps between £1,500 and £2,000. -It IS a lot more. -How does a flashy mirror end up here? and I offered to clear out the rest of the house and I was given this mirror for doing that. -And what do you think about it? It's an unusual style - different to a lot of English furniture and certainly other English mirrors. creating a framework for the mirror. They've got this very thick enamel jewelled on top of the glass. This is often called jewelling. -It's typical of glass produced in Bohemia in the late 19th century. That might suggest it's continental. they're not quite as good when you get close up to them. are then chased and finished to really sometimes a very high degree before they're then gilded. These are a bit crude around the edges. -Has it been regilded recently? -Yes. So that's what gives it this very bright appearance. I would expect this to have been made, dating it from the glass, in the late 19th century. -it would probably have a price tag of £1,000 to £1,500. -Not bad payment for clearing a house. -Not bad! I'll look for more! How Much I Want You and was sung by Mario Lanza in the 1950s. This rather pre-dates the '50s. He's a love-struck young shepherd, I suspect. and it's just beautifully observed, isn't it? -which is full of bits and pieces, pulling down a bit. It was made in Florence in the 1880s in the classical tradition. A piece of nice Carrara marble. bought by English tourists and brought back here. But how did it end up in your collection? I don't know how my grandfather got it - must have been at an auction. -Yes, he attended many an auction. -He had a house full of nice things. -and made in Florence, and this is a Venetian piece. Here in Venice, you've got much more the carnival approach to sculpture. -and this was much more, in today's terms, the party culture. -and so it's carved in wood. -Would it have been used for a practical purpose, for actually taking snuff? Possibly, because there's a box, but it's probably a replacement. -I'd be very surprised if that's the original box there. If it is the original box, it was just to add an element of realism. The detail is beautifully observed. You've got the little pinch here, and he's looking very satisfied. This at auction would probably make £2,000, £2,500 - that sort of level. but I'd have him rather than that one, too. -Yes, it's got more character and heart. -This is damaged. Would it be worth having it restored? It was my husband's grandma's. She had a pair and she dropped them both. One smashed, and this one, she's managed to repair. -Did anybody tell her off? Do you know what happened to the value when she dropped them? -The one that smashed would be worth nothing! They're Wedgwood Fairyland lustre vases, one of the most collectable 20th-century ceramic commodities. -would have been worth somewhere between £5,000 and £8,000. -I'm glad you can look on the bright side! -You're an optimist, aren't you? Tell me, is this glass half-empty or half-full? Well, this is a football team that every fan in the country would recognise. The 1966 England World Cup winning team with all the signatures. -How did you get it? -I bought it off a guy eight years ago, who was strapped for cash. -And he collected all the signatures? -He collected all the signatures. Including the Kenneth Wolstenholme one. "Some people are on the pitch, they think it's all over. It is now!" -Did you pay a lot of money for it? and I would think today, at auction, this would probably fetch between £500 and £700. You have a name at the top here, George Manderfield. -so that probably takes it back over 100 years. It has to be, doesn't it? -The M should have been N.
-So they sent away for it somewhere and it came back misspelt. I wonder whether they paid for it. Perhaps they got away with it! Yorkshire and even Portobello, on the Scottish Borders, so it could have been from one of those places. I also love these frogs and newts inside. you drank down and revealed these things at the bottom. -Has it been used and treasured in the family? -It came down through the family. The son's grandma give it him, in the last couple of months. -Yes, because he's into antiques now. but in the open market place, you're looking at £150 to £200. -But much more to the family. -Thank you for bringing it. -I'll give you the bad news first. Although this looks like a 16th century suit of armour, it isn't. -Well, the good news is that it's not a modern fake and that it is in fact a Victorian copy. -Made for decoration of houses and castles. knights rescuing ladies, stimulated the Victorian imagination. get on horses and beat the living daylights out of each other. -It really captured the Victorian imagination. So it's a very nice Victorian copy and it really does look the part. -I bet it looks great in situ. -It really does look superb. -Any thoughts about the value? -It's £2,000 to £3,000, because it's a wonderful decorative piece. Is there a market for stuffed animals these days? -and there are huge pitfalls. Like whether you can sell it or whether you can even own it! These things are governed by international legislation. -Is this because they're protected species? lists the animals you can and can't sell. that controls this in Britain, I asked for a concise, simple list of what I can or what I can't sell. hundreds of pages, mostly with Latin names. Suppose you were left a tiger skin with a head or an elephant's foot, are you not free to sell that on? It depends when Uncle Eric shot it, if it was Uncle Eric that shot it at all. It's a bit of a grey area, this. The CITES regulations cover things pre-1947. '47 arbitrarily was chosen as the date. so that you know it's not a recent casualty. What about this woodpecker? Is that a good one? Um, it's certainly a good one. This one has got a great provenance. It came from the Eton College collection. What's the most bizarre example you've come across? Swans are bizarre. You wouldn't want a swan in your front room today. -You'd have to ask somebody very special to stuff a swan. and there's a man called the Queen's Usher who you would have to ask. but a recently deceased swan, you'd need permission. Really, the rule of thumb is to avoid things post-1947, unless you've got a licence for it. What's the story behind this? I was on the flea market at Derby and as soon as I saw it, I thought, "I must have that!" "How much is it?" They said, "It's got to be £2". So that was it. I was £2 short, but, I mean, I love it. -This is made of cedar wood. It's got this fantastic glow. And this wonderful figuring inside. -Any idea of where it comes from? -..so it would have been used to feed infants with. -It's got a sweet handle here, that's carved in the shape of a bear. -And then a fantastic sort of acanthus leaf to the base. -And on the top here, this typical rose and leaf decoration. -I think this dates from the mid 19th century, around 1850. -A treen collector would pay £300 to £500 for one of those. Yeah, it's a really lovely example. -I rescued it from my father. -What was he going to do with it?! -Attack it with a drill. -I don't believe it! And do what with it? Well, I'm delighted you did! to prevent draughts when they were writing script. Decorated in various tones of gold, and this IS gold, on a black ground. with a scene of Mount Fuji. -and he would have bought this as a souvenir. so it's a really very nice thing. I mean, I congratulate you on protecting it for posterity! £1,800, maybe £2,000. It's a really very, very nice screen. -the spout's in the wrong place. because it's made in Japan. -And so that's where it starts, at a place called Arita. so the decoration is not Japanese. in the very early 18th century. -And it's clearly gone through Holland, because the decoration on this is very curious. are almost like an amateur would do. The thing that reveals it is the extensive use of red, iron red. painting not only Japanese and Chinese porcelain but also Meissen. So this is an interesting piece. -It would be made, I think, for soy sauce. -There may have been a little domed lid to sit on top of it. or you side-pour, and it's very easy to work that way, as you can see. -What did you pay for it? It's probably worth about £200 to £300. -Maybe a little bit more. -Oh, that's wonderful, but I just like it. -Yeah, I like it, too. We've got an absolute Victorian classic subject here, have we not? with the girl by the gate and the hollyhocks and ducks on the pond. It is just such a classic subject for Victorian artists. I think, for many people, these kind of pictures are classic England. but these are by another rather less-known artist, but nonetheless good, called Claude Strachan. Actually he's Arthur Claude Strachan, in full. -and how you came by them? -They came from my grandfather. -Um, when my grandfather moved into a nursing home, my father - my late father - brought them home. -I liked them, so my dad gave them to me. -What happened to the frames? The frames were taken off, because they were broken and damaged. They've actually spent quite some years tucked away in a trunk. but they're so nice that, if they were mine, I would frame them and put them on the wall. to make the colour stronger and for these white highlights. and they're in really super condition, so I would date these watercolours about 1900, 1910. Just to put that one down again. Um...let's talk about the value now. -would make at least £3,000 to £4,000. -..and will hopefully encourage you to get them framed. I've had it ten years. It came from an aunt. It's a type of doll that's called a Grodnertal doll. It was made in Germany and Austria in the early 19th century. So we're probably looking at a date of about 1800, 1810. The nice thing is the condition and how original it is and the clothing. and a little yellow comb, which is another distinctive feature. because it's stylistically of that period. Isn't the dress delightful? Yes. It's not been touched, as far as I know. in pretty good condition, considering it's 200 years old. The body is wonderfully articulated, the wooden body. -The hands are fairly crudely done, which is typical. absolutely wonderful, so they can move around. Super. On the market today, this would probably fetch £1,500 to £2,000. -I brought it home as excess baggage on the aircraft. -Did you take the legs off? -They took the legs off for me and wrapped it in some old sacks and paper. -Goa makes a lot of sense. with a scene which is, I suppose, an earthly paradise. or whatever she is and a few more lined up in the background. did they give you any idea of what age it might be? -They said 90 years old. -And did they say what the material was? is it ivory or bone? -which prevents the export or movement of ivory from one country to another. With huge fines... and the destruction of the object. Oh, good. I'm relieved about that. Oddly enough, this is camel bone. -to here, you will see little black or brown lines or dots. And those are the blood vessels running through the bone. -You can't carve those away and you will not find them on ivory. -Camel bone gives you the whitest material - I think that's it. -Well, you got a good £1,000 worth. -It makes a wonderful table. The difficulty is the amount that's missing. -That's worth doing, and then you would have something worth probably £2,000. -So it would be a worthwhile investment. That's what I call bone china! Let me hazard a guess - Blackpool, end-of-pier, 1987. Apparently German, 1900, made as a joke for a medical student. Good heavens! And what actually is it? It's a hideous teapot, and this is the spout here where it pours out. the devil's brew goes in there. -And out it comes here? Yes, and there's a sugar bowl and tea cups. -And do you use it happily? where she'd hidden it for 30 years in case it frightened anybody. -Who was the medical student? Extraordinary. But how do we know that it was a medical student joke? -It's what one of the experts said. -You don't want to believe them. This is a splendid flower piece. What's your story behind it? in his upstairs rooms, which he'd had going back to the 1930s. -It's, as I say, wonderful size, very decorative. But the question mark is - who's it by? -in the bottom right-hand corner, was the name of Jean-Baptiste. It is just there. It's brilliant of you to have actually observed it. -only one artist comes to mind - Jean-Baptiste Monnoyer. -And he was a painter, a flower painter of Louis XIV. -He died, I think, in 1699. And the Duke of Montague, who had Montague House, was ambassador to the court of Louis XIV. He met Monnoyer and brought him to this country, where he had a very successful career. -You do find paintings by Monnoyer in stately houses in England. -Now, is it by him or is it not? -Yes, that's a good question, I think. -Because he did have studio assistants and he did have people who copied him. one has to pick up on information there. and makes me feel it's original. they don't have the reality, they're cosmetic. I don't really like these flowers. -So it's a bit of a mixture, so it could be studio. -Now we come to the question of the valuation. -It would have been worth probably £300,000 or £400,000. -I'll be very conservative and say £5,000 or £10,000. Right. Oh, that's fine. That's quite pleasing, really, to me, yes. -We was told it's called The Lady By The Pool. She is by the pool, in a swimming costume, and it's a nice blue pool. probably done during the 1930s. -She looks a bit of a flapper, doesn't she? And there she is, sitting out by the pool, demurely cross-legged, and the modelling of her is exquisite. he's obviously been to a swimming pool or two in his time. It's beautifully done. I love the costume, the mermaid costume. a mid-20th-century figure. So what's it for? -It is! It is for a dressing table. It was made in Turin, almost certainly by a factory called Lenci. in the mirror - did you see it? -So are you going to put her on the dressing table? Throw your lipsticks and creams and whatever you may use. She belongs on a nice big dressing table. -she'd fetch somewhere between £2,000 and £3,000. This piece really represents the age of elegance and shows that that age never totally disappeared. Is it something you've owned for a long time? My great-uncle bought it from an auction in Wales, in about 1922. And then my parents inherited it when my great aunt died. It is an extremely elegant piece of furniture. to the 18th century, when a lot of furniture was made in satinwood. Painted decoration is typical of that period. But it seems to me to date from maybe 100 years later. -So this is what might be called Sheraton revival. And it's an extremely nice example. The painted decoration is a little stiffer, a little less free than one would find in the 18th century. on an 18th-century one, that would slide back. and one can see that, both in existing pieces of furniture, and also in pattern-book designs. So it's a very nice and actually very desirable piece of furniture. -Do you want an indication? -I'd love an indication, yes. -And it's very, very pretty. -Lovely! I was thinking something like £500. These medals commemorate military campaigns in Queen Victoria's reign. I wonder how you came by them. They belonged to me grandfather. He earned them. -He actually won them. Who was your grandfather? so he was in the Crimea. Which regiment? -Ah, right, so that's part of the famous Light Brigade. -Was your grandfather one of the chargers? -He charged with them, yes. Right. That's the Crimea medal. Balaclava - very important - and also the Battle of the Alma. That confirms that was given to him. because the British were bailing him out against Russian aggression. Turkey was "the sick man of Europe". The Russians wanted it because it would give them a warm-water port. That would upset the balance of power in Europe. It's one of the reasons why Britain went to war against Russia in 1854.
in 1857 to '58, so that's the sort of record of his service. went down that valley behind Lord Cardigan - we've all seen the film. and then at the trot to conserve the horses' energy. -which meant the lancers came down and then charged. The dragoons and hussars would have stuck their swords out at the charge. And it's incredible to think that that was given to a man who was there. It's very humbling. -Good job they didn't kill them all, or else I wouldn't be here. -Have you thought about what they might be worth? -Very nice! More than I thought! -Thank you for bringing them. Another fine selection, from the grand to the grotesque. it's time to check that Burton's breweries are doing a good job. Until the next time, goodbye. 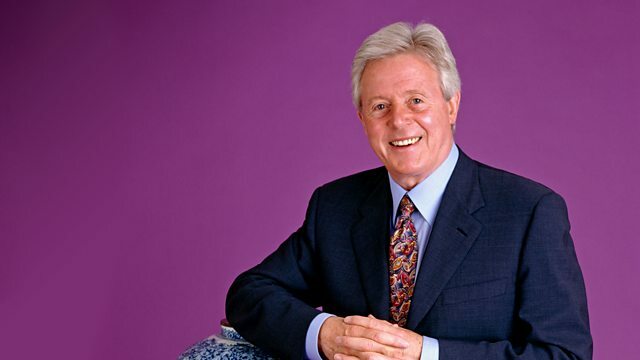 Michael Aspel and the team go to Burton upon Trent where they find a valuable jewelled elephant, a patch box in memory of Lord Nelson, an inlaid table from Goa, and a Victorian suit of armour suitable for jousting. Best of all is a Crimea medal awarded to a man who actually took part in the Charge of the Light Brigade.